Is it Time to Replace Your Car’s Battery? The battery is possibly one of the most important features of your vehicle. It makes everything happen. Without one your car wouldn’t start, you couldn’t operate any lights, and there would be no radio. 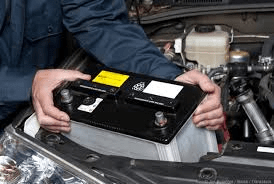 As a crucial component of your vehicle, it is a good idea to know when you to replace the battery. It is also good to see warning signs that your battery is going bad. While a vehicle not starting can often be confused with the starter, a battery problem presents itself differently. Some red flags will give you a good indication that it is time to replace your car battery and they can include the following. How To Clarify Which You Have: A Starter or Battery Problem? If you turn the key to your vehicle and it doesn’t start right up or takes longer than usual, this could be a significant indicator you need a battery replacement. Checking the battery fluid is one way to see if your car’s battery is on the way out. Some cells have a see-through part of the casing that will allow you to check the fluid level. If the fluid drops below the lead plates, it is time for a new one. Ryan GMW can perform a battery fluid check to see if this is indeed the issue and recommend a battery replacement. Almost everyone has seen this universal sign on a battery. When a cell leaks it creates corrosion. A white buildup presents this, that is typically on the positive and negative posts. There is a good chance you aren’t getting the best connection to the battery corrosion being present. While you can clean the terminals and get a little more life out of the battery, it is also a sign you will probably need a replacement shortly. With excessive heat in the engine bay and outside, this can cause a battery to become swollen. The battery will not have it’s same square or rectangle shape. It could have a bulge or bulges on the sides or top of the battery. A bloating battery case will ultimately mean the battery’s life is shortened. Batteries don’t last forever. While batteries do last a very long time, it is encouraged to have them inspected after three years. After this amount of time, it is a good idea to check it annually. It will ensure it’s operating correctly and free of corrosion. 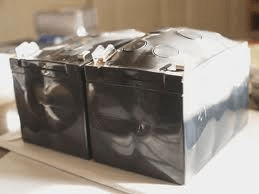 If your car has a ten-year-old battery in it, and you have any of the other symptoms of a failing battery, then it is probably time to replace.